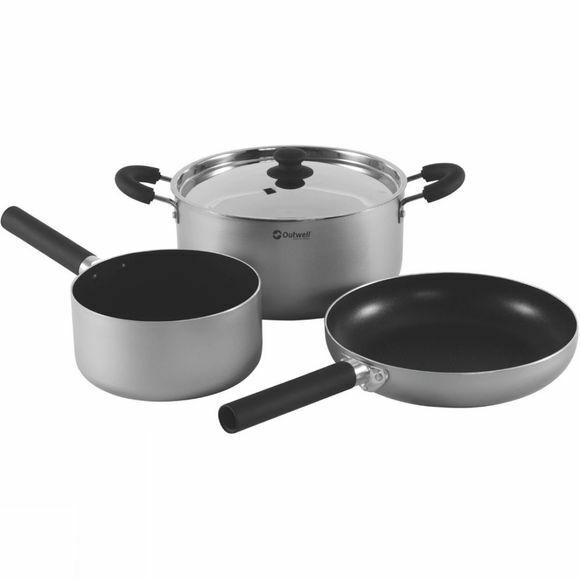 The Feast Family Cook Set from Outwell is made with high quality aluminium with a durable non-stick cooking surface and a ferrous insert so that they can be used on induction hobs too. 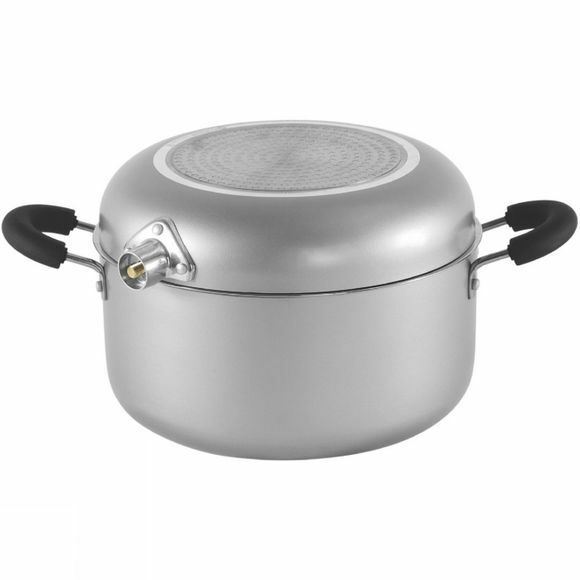 Each of the pans and the lid have black, soft to touch handles, which complement the matt grey finish, to ensure they are safer to lift when hot. These handles are detachable on the sauce pan and frying pan which allows them to be stored neatly inside the casserole pot for convenience and safe keeping when they are not in use.